Naksk ask Kirti why she felt that Naira was coming in between them, Kirti says she was feeling from long but when yesterday Naksh had told that he will give Krish to Naira if she wants that time she was very tensed and ask Naksh why he did not even ask her once. Naksh says when Naira returned our Krish when she came to know that he is our son then why can’t we give her when she needed but Kirti says she cannot give her Krish to anyone in any circumstances. There as Kartik is sitting thinking about Naira, Vivan comes and tells not to worry as he has come now and that Holi will fill colours in his life again and will make everything like before. It is Holy and everyone is celebrating and dancing, Gayu has also come to celebrate Holi with her Grandmother and tells everyone that she is ready to marry Vivan, all are happy to hear this. All are praying that Kartik makes Naira agree for his love and make everything proper. Kartik comes with the dhol and dance. Suhasini and all come to enjoy Holi with them and all dance together. Kartik ask forgiveness from Naira but she says that if he is around then she will go from there, Naksh also tries to tell her that she should forgive Kartik, but she gets angry and ask why is he supporting him. 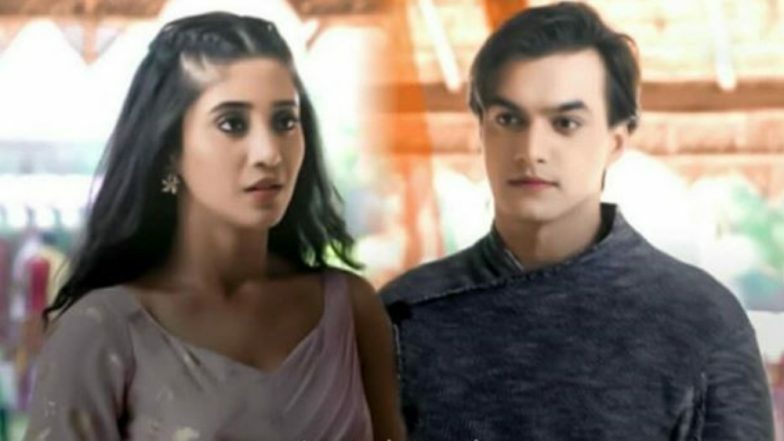 Yeh Rishta Kya Kehlata Hai Spoilers: Naira and Kartik Patch Up After Having Bhaang; Naksh and Kirti Apologise To Everyone! Kartik tries to talk to Naira but she gets angry and goes from there. Kartik tells all to enjoy Holi and goes from there. Devyani says they will have to try once to make them close. There Kartik goes behind Naira and holds her and tells her she has to listen what he wants to say, Naira takes some colours and puts it down and draws a straight line and says if he loves her then he should not cross this line. They all dance, Kartik dances inside his line only (hum tere deewane hai ham ashiq mastaney hai track is played in the background) Kaveri and Devyani try to give them Thandayi in which bhang is mixed but they leave from there. Kartik says Naira to at least give him one chance to prove his love. In the precap, Naira gets angry and runs from there and while running falls into the river, Kartik comes and sees her.